A day at the beach usually starts with schlepping bulky bags and a cooler from the car through the sand. Beachmate solves that. This family beach bag carries everything—and we mean everything—you’ll need for a day by the shore. 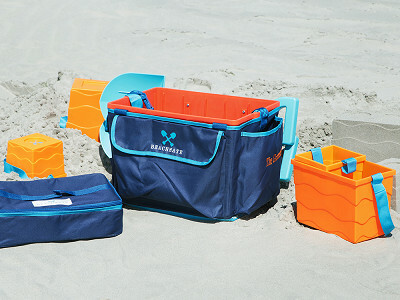 It organizes the usual beach-going essentials, like snacks and sunscreen, and has Velcro straps for towels or umbrellas. A soft-sided cooler fits into the bottom. It also has its own durable sand toys that fit neatly into the design, which can double as drink or snack holders. (That’s a child and parent win-win.) 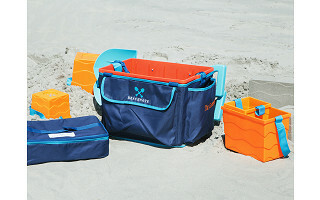 The unique stacking design comes from Jeff and Beatrice Mellick, inspired by many beach trips with four kids, a lot of “stuff,” and repeated trips from the car to carry everything. Thanks to their sturdy tote, now you have only one bag to carry. Hey Grommet fans! 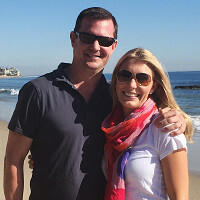 I’m Beatrice Mellick, Co-Founder with my husband Jeff, of Beachmate! We are really excited to have the Beachmate System featured as today’s Grommet. As parents of 4 young children we were fed up with lugging multiple bags to the beach, with flimsy beach toys as our only option. So we created an organized, durable, easy-to-pack, easy-to-use tote bag that includes all your beach-day needs. Welcome to a better way to beach! I see the dimensions of the entire beach bag listed. Could you also share the dimensions/capacity of the cooler portion that fits in the bottom? Thank you. Hi Kellie - Thanks for your interest in Beachmate! The cooler is 14"w and fills up to 5"h when packed. 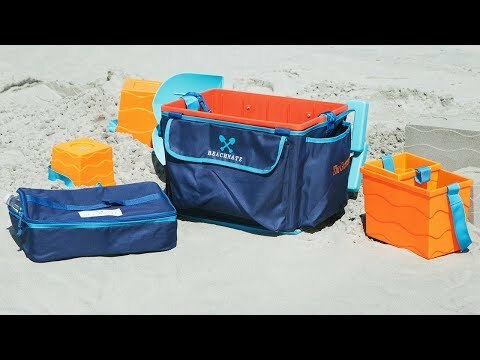 This cooler can hold multiple drinks, sandwiches & snacks. We have 4 children and can get all of their needs for lunchtime and extra snacks during our beach day! Hope this helps. Happy beaching! A day at the beach usually starts with schlepping bulky bags and a cooler from the car through the sand. Beachmate solves that. This family beach bag carries everything—and we mean everything—you’ll need for a day by the shore.